Published: Oct. 15, 2009 at 08:27 p.m.
FLOWERY BRANCH, Ga. -- Michael Turner: Can you think of any team in the NFL, other than your Falcons, who -- and we're not even counting your sure-fire Hall-of-Fame tight end -- possess The Quarterback, The Tailback and The Wide Receiver? "I can't think of one off the top of my head." That's because there aren't any. Not one. Brett Favre's got Adrian Peterson, but Bernard Berrien isn't quite Roddy White. Tom Brady's got Randy Moss, but you haven't seen too many parallels between Sammy Morris and Turner. Okay, maybe Carson Palmer, Chad Ochocinco and Cedric Benson, but that might be a push at this point unless Benson stays as hot as he's been. But all things being equal, that's when the Falcons throw out the trump card: tight end Tony Gonzalez. For now, though, let's leave Gonzalez on the outside looking in. 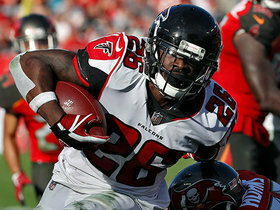 In Ryan, Turner and White, Atlanta has a three-tiered offensive cache that is starting to draw comparisons to Dallas' "Triplets" of Emmitt Smith, Michael Irvin and Troy Aikman. Dallas' version began their careers together at roughly the same time, just like Atlanta's trio. Turner, a free-agent pickup from San Diego, and Ryan, the No. 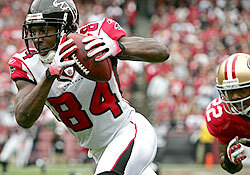 3 overall draft pick last season, signed six-year deals with the Falcons in 2008. White, in his fifth season, signed a six-year extension during this training camp. Like Aikman, Irvin and Smith, White, Turner and Ryan are joined at the highlight reel, but there is a lot more they have to accomplish when it comes to being held in such lofty company. "We've got a few Super Bowls to win before we get there," said Ryan, citing the three rings apiece for the star-helmeted "Triplets." Ryan is such a well-versed pro -- and a buzz kill. He's right, of course, but it's hard not to take notice of the track the trio is on. 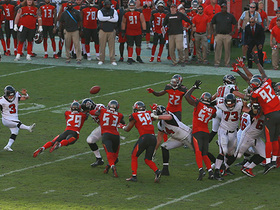 Turner and White made their first Pro Bowl appearances last season, while Ryan won the NFL's Offensive Rookie of the Year. In the 20 games they've played together, Atlanta has won 14 (3-1 this season). In that span, Turner has rushed for 2,022 yards (323 in 2009) and 22 touchdowns. White has 111 receptions for 1,711 yards and 10 touchdowns. Ryan has completed 347 of 557 for 4,417 yards, 23 touchdowns, 13 interceptions and a 91.1 passer rating (102.9 this season). 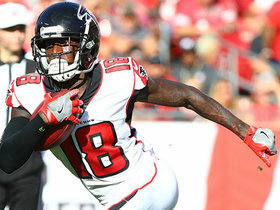 NFL.com senior writer Steve Wyche has the latest buzz on teams and players from inside sources around the NFL. Check in with Steve for his latest blogs. Their rapid pace of production is frightening, as has been their -- and the coaching staff's -- ability to evolve in their short period together. "We put in a lot of work to get on the same page as quickly as possible," Ryan said. "Playcalling helps out a lot too. When you get good plays called and you see guys running open all the time it makes it a lot easier to produce. "Part of being a good team is being able to win different ways week in and week out. With Mike in the backfield and an offensive line that can push holes open for him, some teams are going to try and take him away. They do that, we have Roddy on the outside. We're better suited now having guys who've been together for a year." Turner's rushing totals -- particularly his 3.7 yards-per-carry average -- are down from this point last season, especially since he opened up with a 220-yard, season-opening pillaging of the Lions. Turner, who rushed for 412 yards after four games in 2008, has only gone over 100 yards once this season (105 vs. Carolina). White also took awhile to get going, but last Sunday he broke out in a major way, shredding the 49ers for a career-high 210-yard game in a wipeout 45-10 victory. Ryan has been red hot, though. He's completed 82 of 123 passes for 977 yards and seven touchdowns. He and the coaching staff have deciphered the varying defensive approaches to try and limit Turner and/or White, and that's where Gonzalez comes in. Ryan has connected with Gonzalez 19 times for 215 yards and two touchdowns. "It gives you a clear head that you know you have these good players around you for awhile, and it gives you an opportunity to do something special, maybe not just once," Turner said. "A lot of teams aren't like that so we have to make the most of this opportunity." And Turner isn't patient, either. "This is our window, this year or next year" he said. "We just got to make it happen now, and I hope everybody realizes that too. I know this team is going to work hard, regardless. We need to realize that we got something special, but we can't take anything for granted." Atlanta, which lost in the wild-card round to Arizona last season, trails undefeated New Orleans by a game in the NFC South. The Falcons play host to Chicago Sunday night in a game featuring two of the league's better teams and a pair of its brightest young quarterbacks. 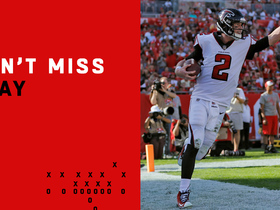 It was Ryan's poised and precise throw in the waning seconds in Atlanta's come-from-behind victory over the Bears last season that brought him -- and these modern-day Falcons -- of age. As Atlanta coach Mike Smith pointed out, they are a different team -- younger on defense, more diverse on offense -- but the three points of pressure in White, Ryan and Turner, remain the same. "You've got three good players that are young that have already been effective," the Smith said. "We anticipate they're going to be around for awhile and continue to play as efficiently as they have. [The front office] has provided us with players." Smith, who tries so hard not to say anything significant of note while kindly handling his media obligations, hung on those final words. And smiled.